Anat Hershko-Klement, M.D., Shlomo Lipitz, M.D., Amir Wiser, M.D., Arie Berkovitz, M.D. To describe the obstetrical performance of a selected population of twin pregnancies. Reduced versus non-reduced twin pregnancies were compared, after the successful completion of the 12th week. A prospective cohort study. Setting: a single outpatient fertility center. Patients: a cohort of 464 twin pregnancies including both ovulation induction and ART pregnancies. Fetal reduction procedure. Main outcome measures: pregnancy outcome, prematurity rate. 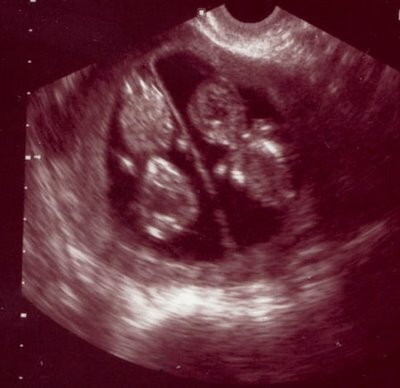 The study group included a cohort of 464 twin pregnancies in a single outpatient fertility center: 70 cases of twin pregnancies following a reduction procedure (15.1%) and 394 cases of non-reduced twins (84.9%). 8.6% of the non-reduced twin pregnancies went through an abortion as compared to 4.3% in the reduced group (P value=0.34). Mean age at delivery was also comparable between the two groups: 35.8 weeks in the reduced group and 35.6 weeks in the nonreduced group, and so was the rate of severe prematurity: 3.3% in the non-reduced group, 2.9% in the reduced group, P Value>0.5). Our work supports a lack of causative relationship between fetal reduction and pregnancy endpoint.